Railway Recruitment 2019: There are Lakhs of Railway vacancies announced every year.At present vacancies announced by the Indian Railways. The list of the railway job vacancies are given in below. Aspirants who interested in railway can get all railway vacancies on this page of Freshersvoice.com page. What all are the upcoming Vacancies? Candidates may online application process from 1 April 2019.So start preparing yourself for india’s huge recruitment notification. How to apply RRB Railway Recruitment 2019? All interested and eligible candidates can apply for this positions in online form 1 March 2019 in Respective RRB/RRC Website. For RRC vacancies (Level-1) candidates can apply in respective RRC Zone websites. al Railways and Production Units of Indian Railways. The closing date and time of registration of applications online is 31.01.2019 at 23:59 hrs. Junior Engineer: Diploma/Degree in Engineering in relevant disciplines prescribed against various posts in Annexure-A of the detailed CEN to be published on the websites of RRBs. Junior Engineer (Information Technology): PGDCA/B.Sc., (Computer Science)/BCA/ B.Tech. (Information Technology)/B.Tech. (Computer Science)/DOEACC ‘B’ Level Course of 3 years duration or equivalent from recognised university/institute. Chemical and Metallurgical Assistant: Bachelors Degree in Science with Physics and Chemistry with minimum of 45% marks. Age Limit (as on 01.01.2019): 18 to 33 years. Relaxations in Upper Age limit shall be permitted to all eligible candidates as indicated in the detailed CEN published on the websites of RRBs which will be updated soon. There shall be two-stage computer-based test (CBT) followed by document verification and medical examination. Medical Standards: Candidates must ensure that they fulfil the prescribed medical standards for the post(s) they are opting for. Refer to the medical standards for each post as available in the detailed CEN published in the websites of RRBs. Candidates found medically unsuitable for the opted post(s) shall not be given any alternative appointment. How to apply Railway Recruitment 2019? All interested and eligible candidates can apply this recruitment from 2 January 2019 -10 A.M to 31 January 2019. Railway Jobs are the most likely Job for every candidate. Because there are so many benefits in Indian Railways compare than the other government organisation and also there are the huge number of vacancies in Railways compare than the other organisations. Indian Railway Recruitment is managed by the Railway Recruitment Control Board, Government Organisation. 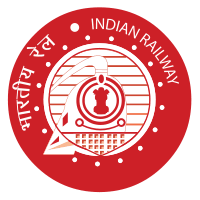 Railway Recruitment Board -RRB announces the recruitment notification and conduct exams/selection process behalf of Indian Railways and hires the candidates. There are a lot of Exams conducted by the RRB and RRB NTPC (Non-Technical Popular Categories) is the famous one which conducted every year. Every Railway recruitment zone has a separate recruitment board or recruitment cell’s to hire the candidates for suitable railway jobs. For the centralised Railway Recruitment also having detailed job vacancies for each and every Railway Zones. Apart from the Railway zones, there are suburban railways available in India which is controlled by Central Government and also state governments. Delhi Metro is the largest urban Railway across the country. Depend upon the needs of Railway Recruitment Board the vacancies are announced and hired. RRB NTPC: RRB NTPC is the popular Railway exam and it holds positions like the Commercial Apprentice, Goods Guard, Traffic Apprentice, Traffic Assistant, Assistant Station Master etc. all over India. There are many graduates who only preparing for the RRB NTPC exam. This Exam was conducted in 2016 for more than 18,000 vacancies.